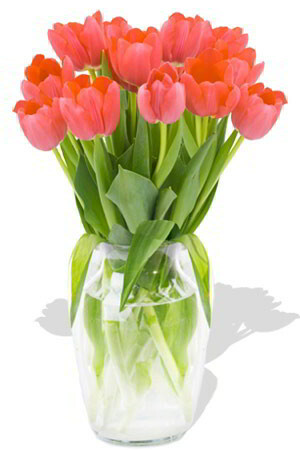 There is no better way to show someone that you care than with tender tulips in soft pink tones. Perfect for a special Mum on Mother's Day or when ever you just want to say thank you.Vase not included however; if you would like to leave a lasting impression we recommend including a Premium Vase to your order. Very prompt and efficient. Website was easy to navigate. Delivered items exceeded expectations. Found your website easy to navigate and am impressed by your follow up. Great service. Your annual reminder is amazing! Thank you you made sending the flowers very easy and mum said that they were lovely.